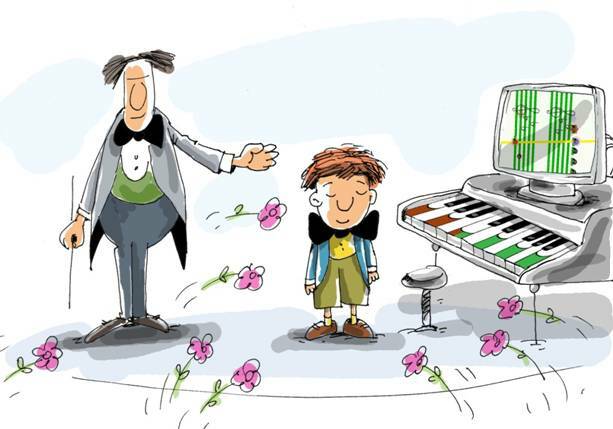 Free Sample of Lesson With The "Soft Way to Mozart" curriculum. Please register to get access to the rest of our downloadable materials here. After you register, return to this page and you will have access to all of the links below. Cable to connect piano and keyboard to get started. We start with ‘stretches,’ the first Hannon exercise. This is like the ‘ignition key’ for the car, namely the hand. Hannon helps to cover the space of the entire keyboard, using all of the fingers in turn. Watch the video and try to repeat what you see on your piano. Learning the order of music notes with Flash Cards. Download the cards and print them on hard paper. Cut them with scissors. Our "I can read music!" 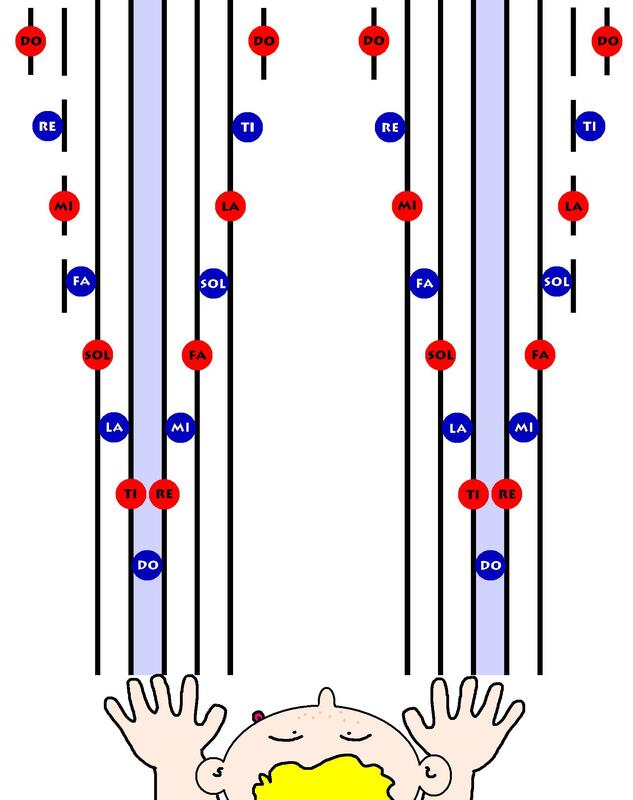 flash cards teach a beginner to differentiate, determine and memorize the position of music notes on the Grand Staff. Today you are going to learn ascending and descending order of music notes from Do to Do. Work with the song and the cards as it shown on the video. 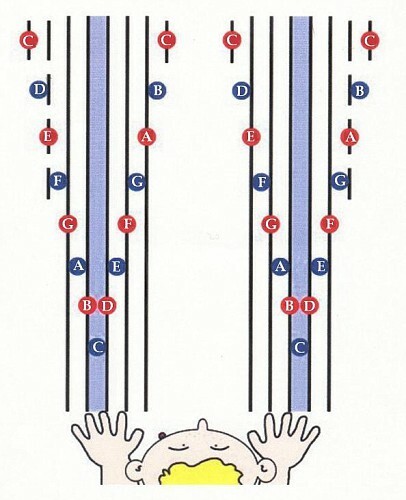 It is absolutely unique and a fun way of learning the measurement of music notes and reading different music rhythms. To play the game you have to press the space bar of your computer and watch the note moving across the screen until they will get inside of the ‘tube’ with the same color. Try to finish the game in shorter time every time that you try it again. Write down the amount of points that you made at the end of the game. Free download of the Gentle Piano Demo - "Ode to Joy"
Download "Ode to Joy" Free Demo. Check the connection. Press any key in the middle of your piano. If you will see any reaction on your monitor (a bug, a butterfly or the notes changing colors/moving) the connection is established. Provide tuning (go to All Programs – Soft Mozart Demo – tools – tuning). There will be couple of play back options. Check, which one you like best and save the setting. Start learning the song by following the instructions on our videos.